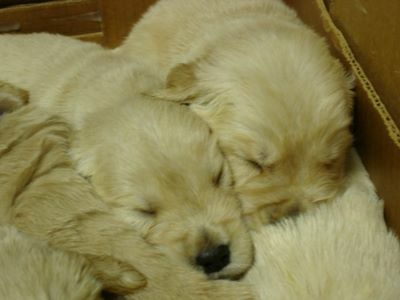 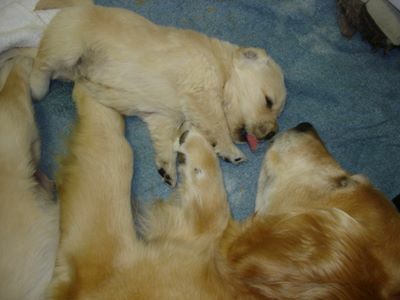 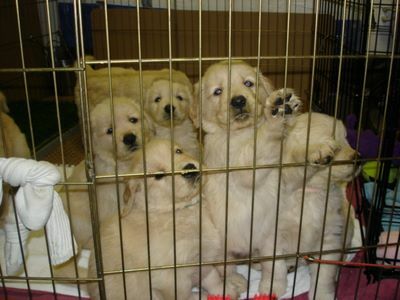 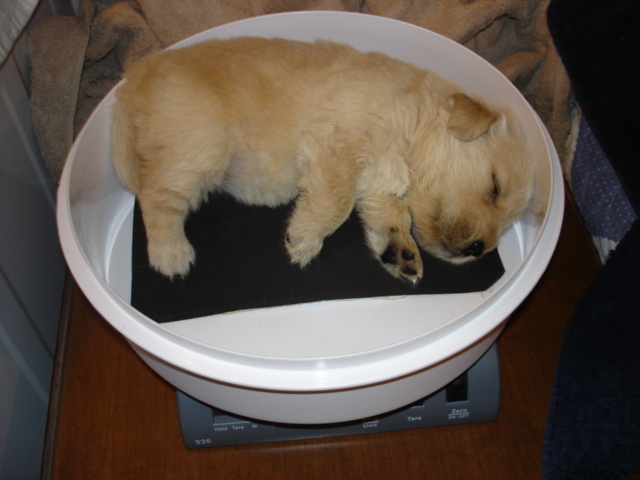 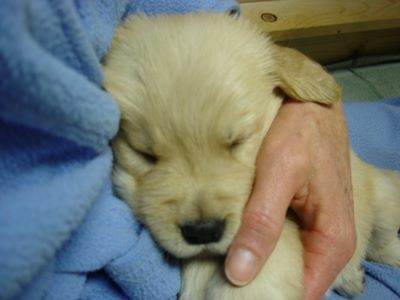 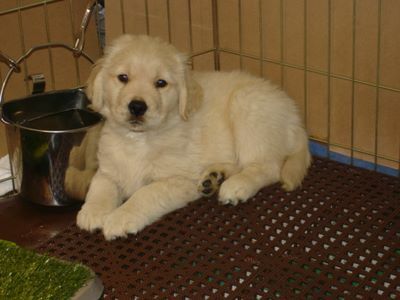 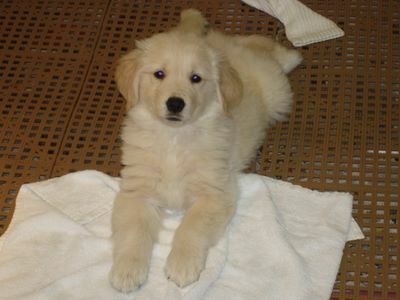 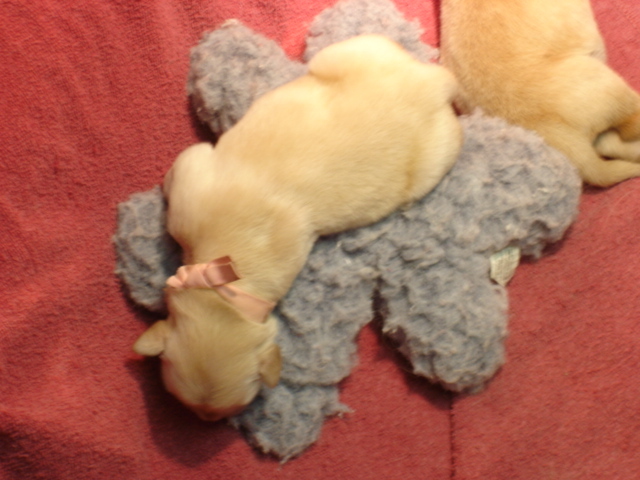 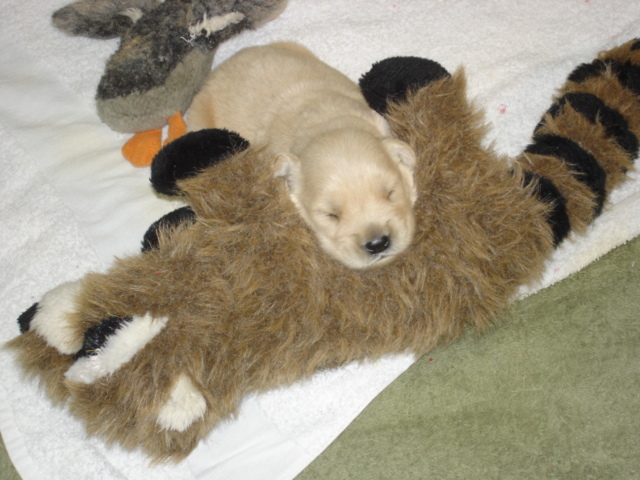 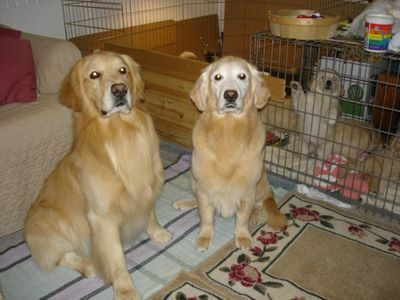 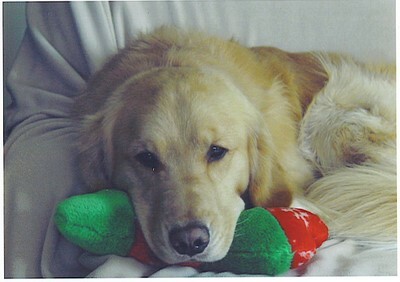 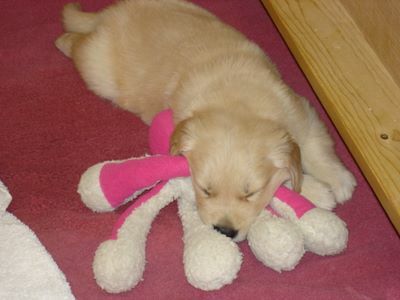 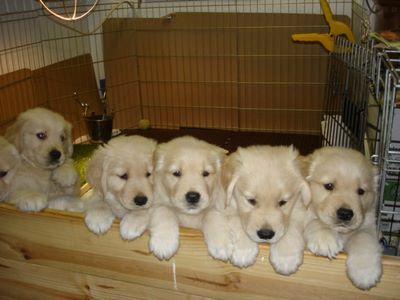 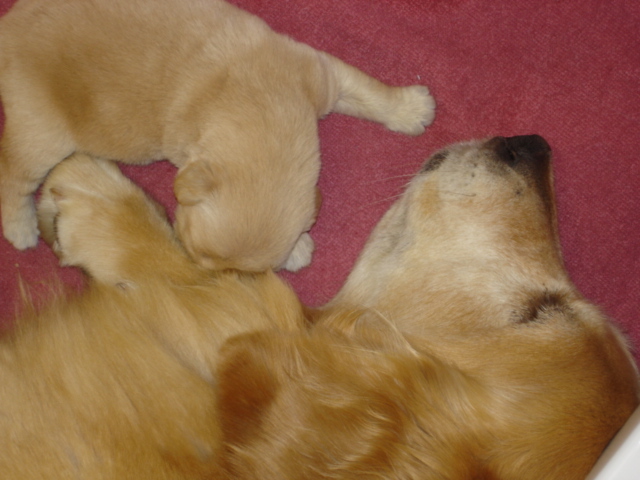 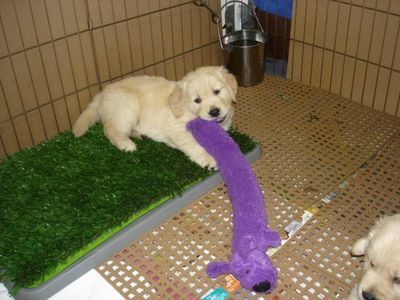 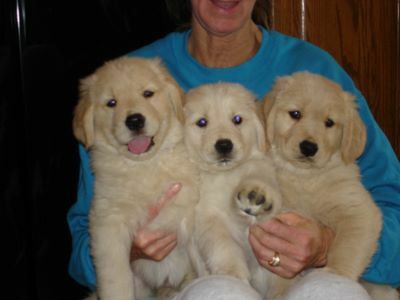 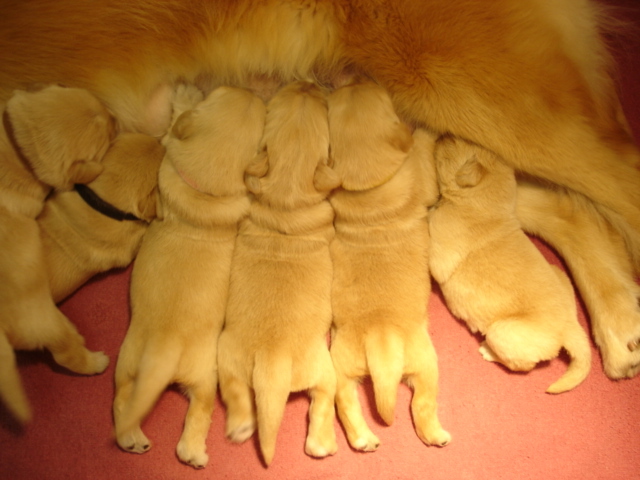 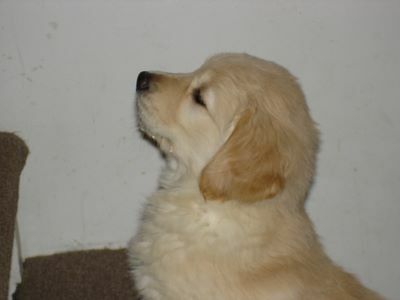 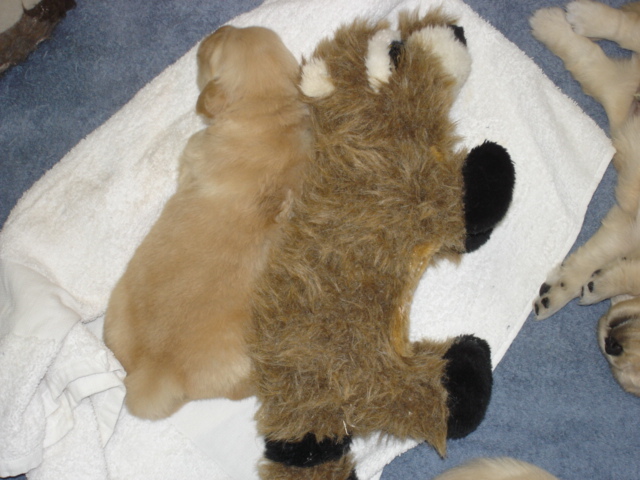 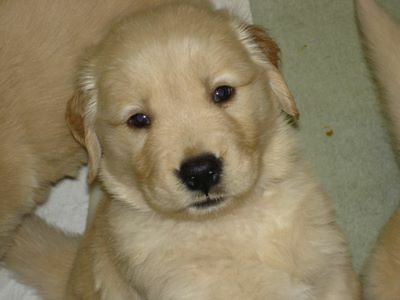 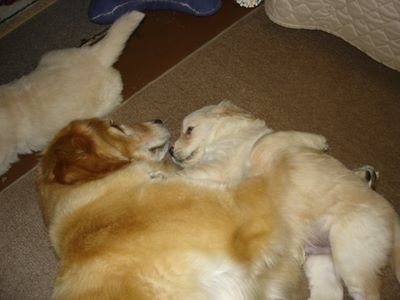 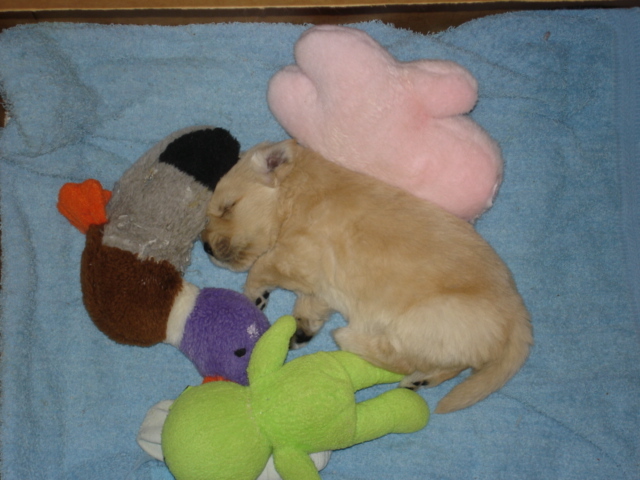 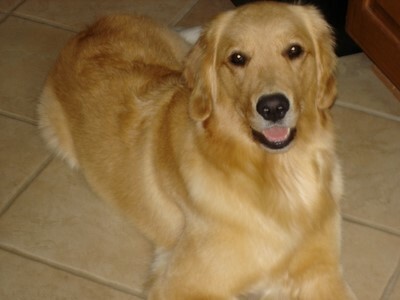 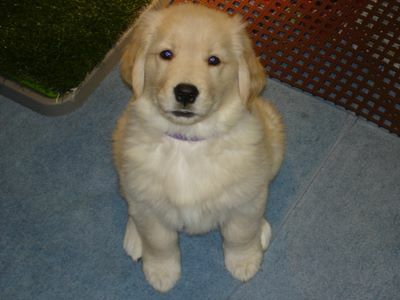 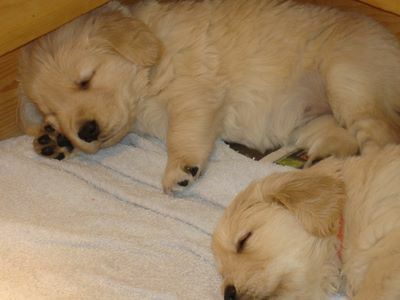 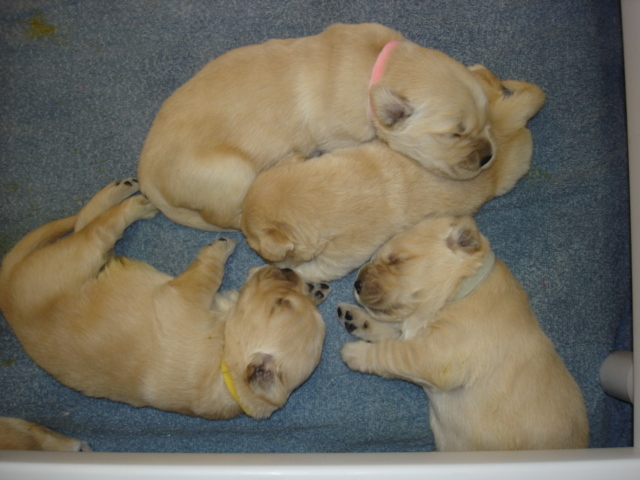 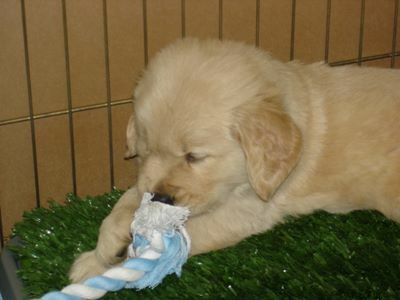 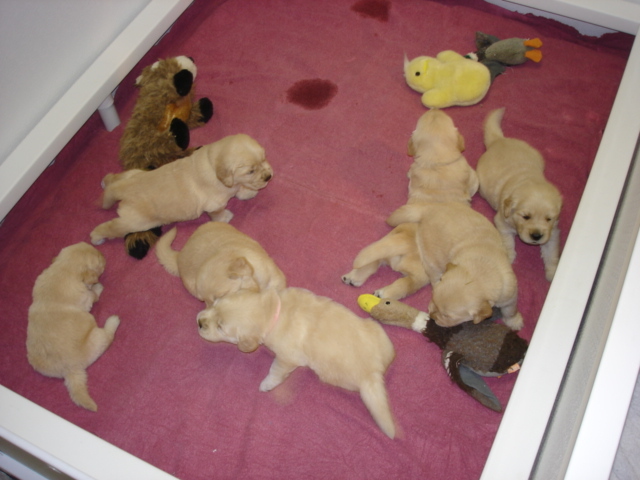 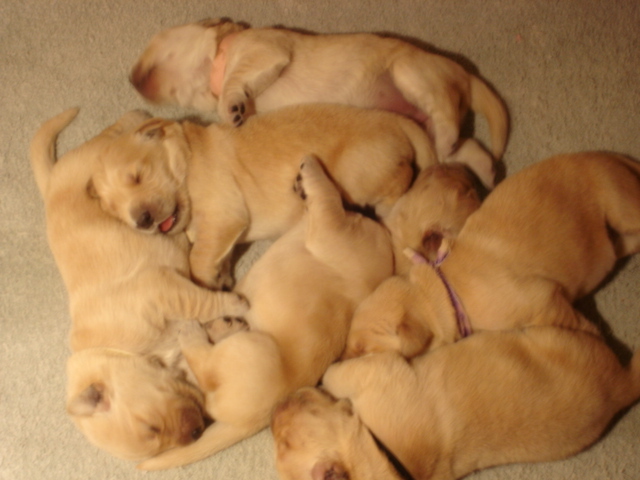 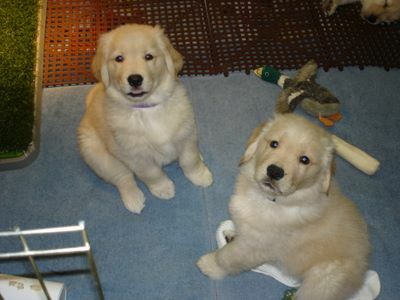 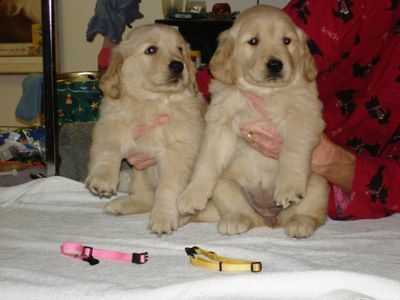 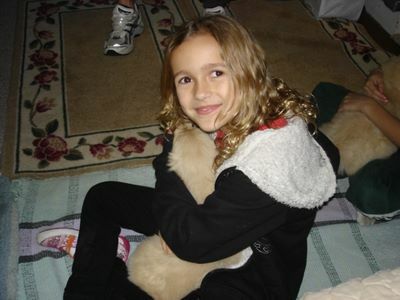 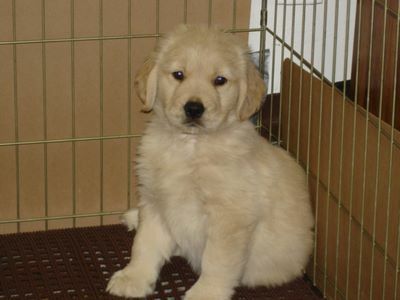 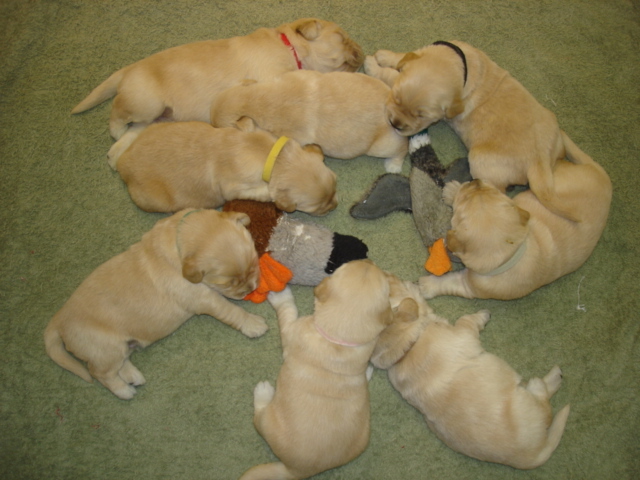 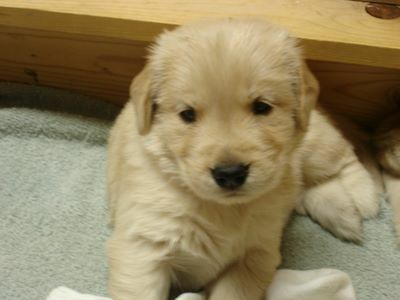 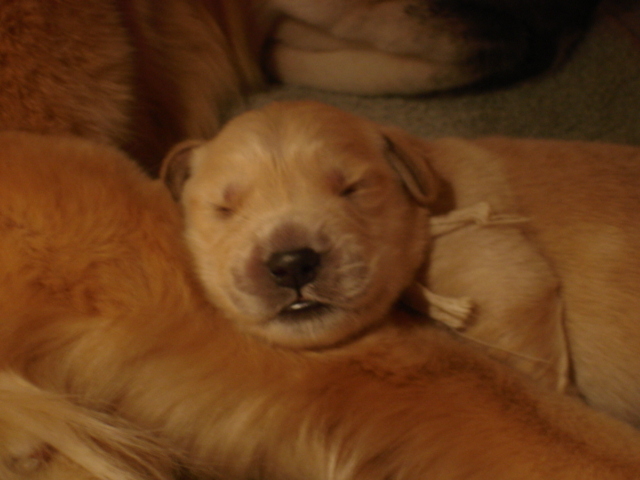 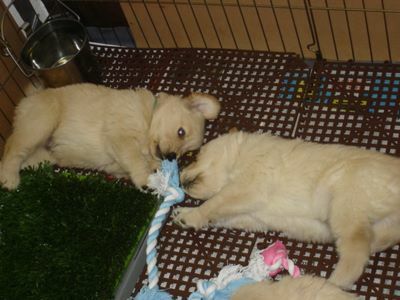 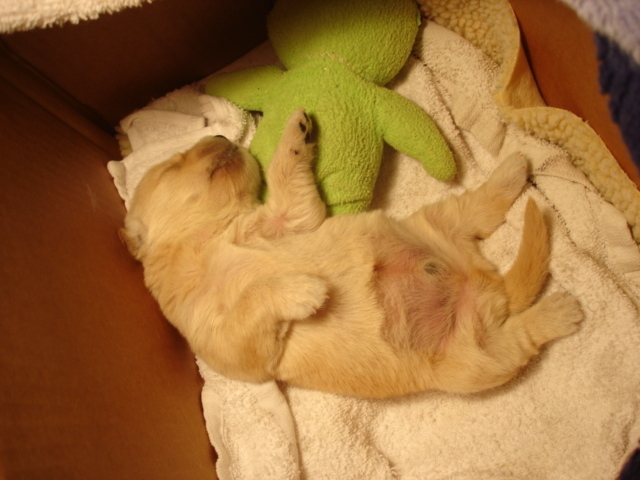 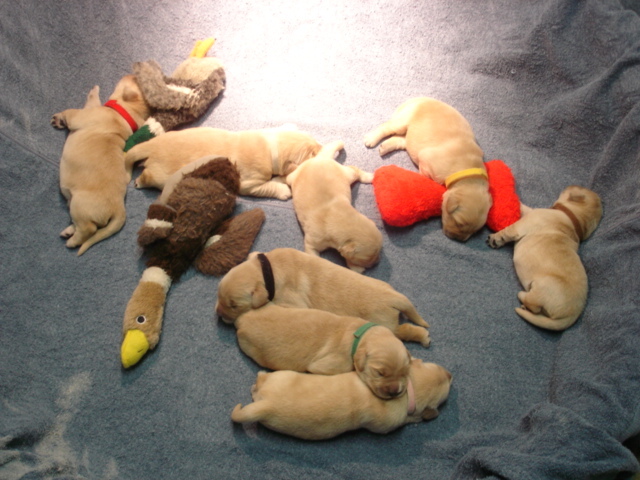 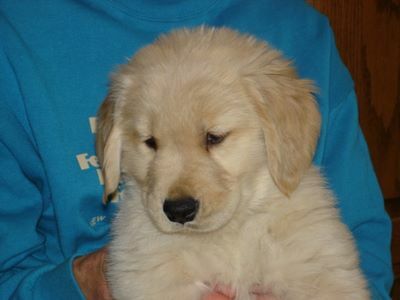 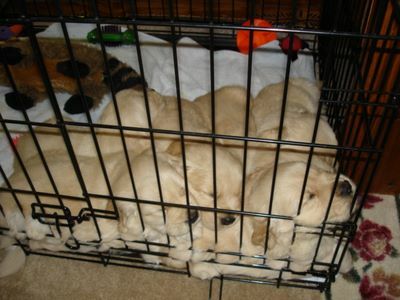 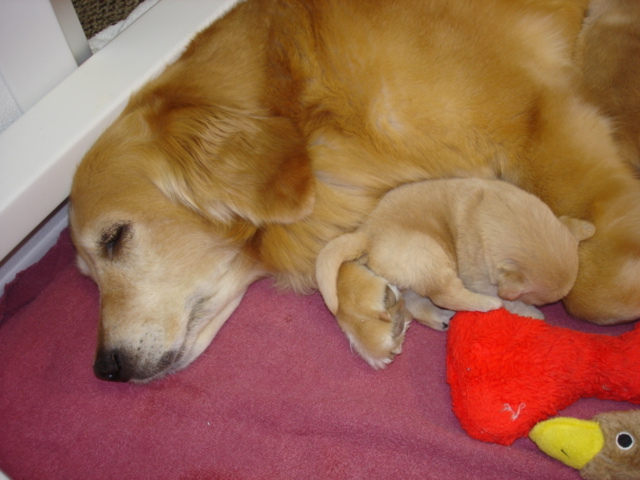 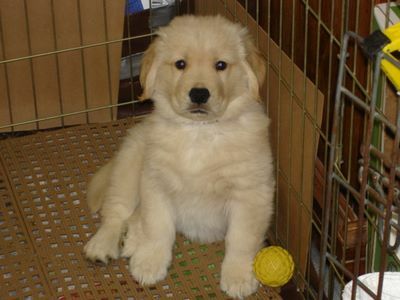 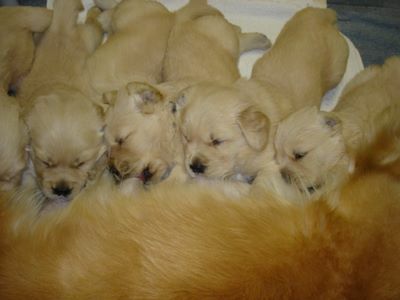 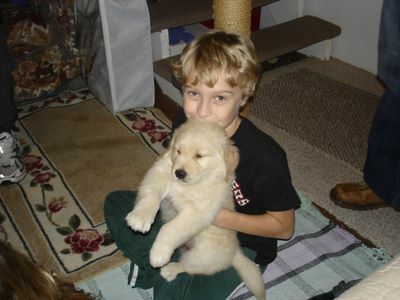 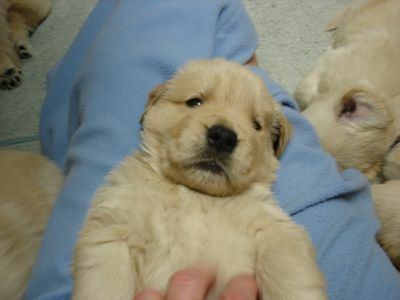 Lucy x Toby puppies–May 16, 2011…. 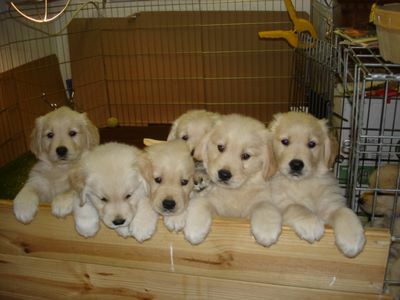 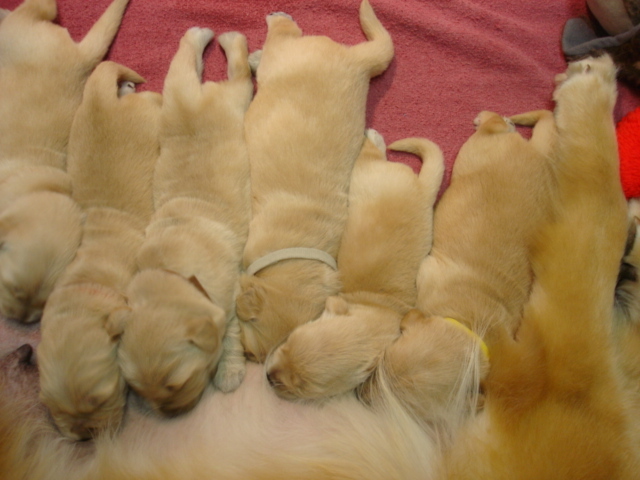 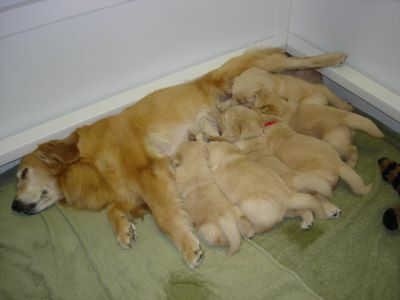 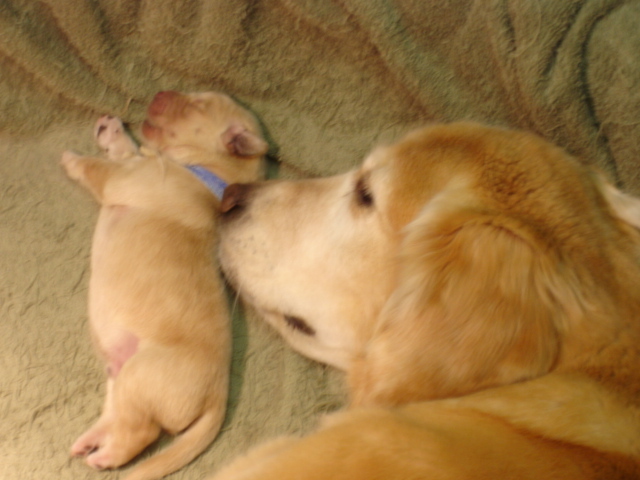 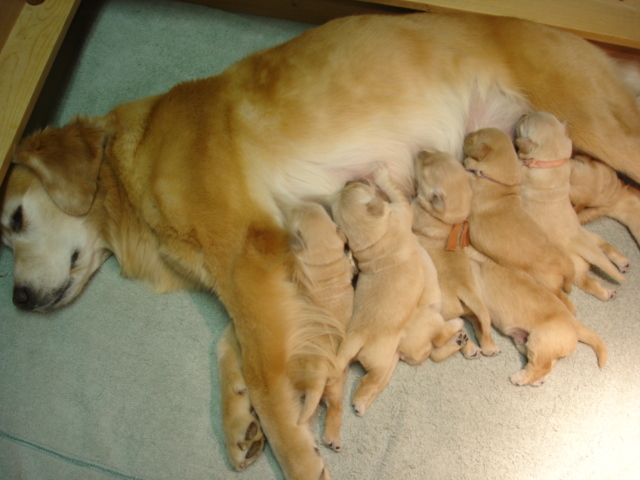 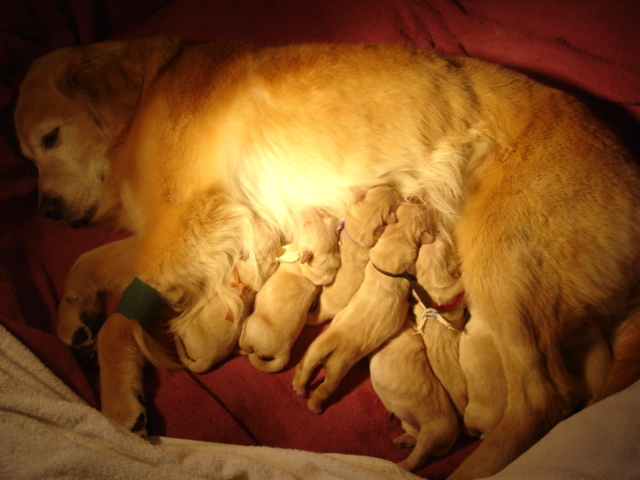 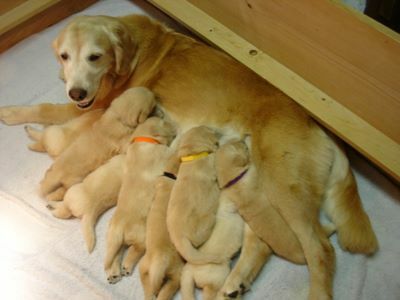 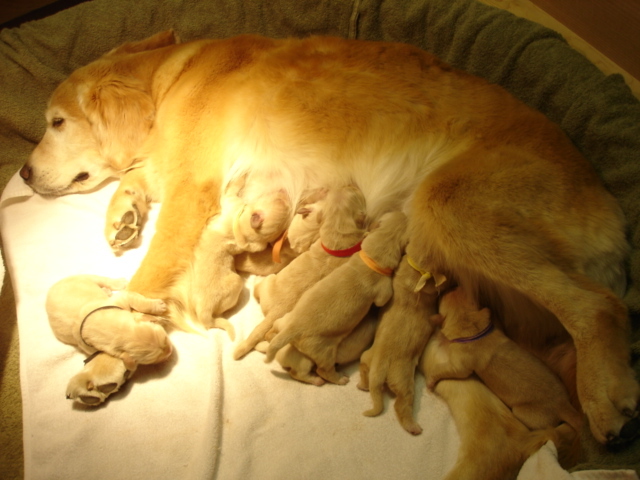 Right on time, Lucy delivered eight beautiful blonde babies on Monday. 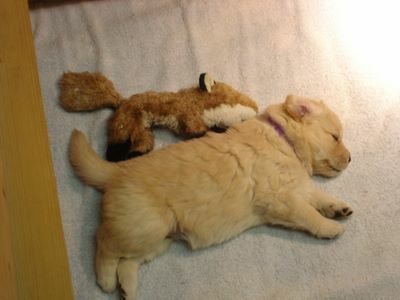 Just an hour after getting home from a two hour surgery. 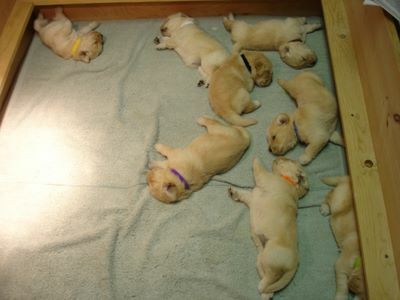 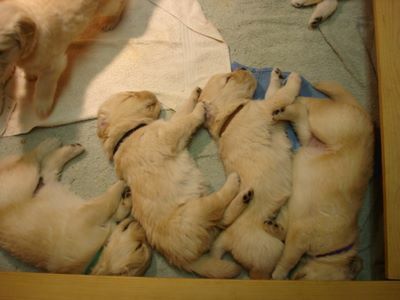 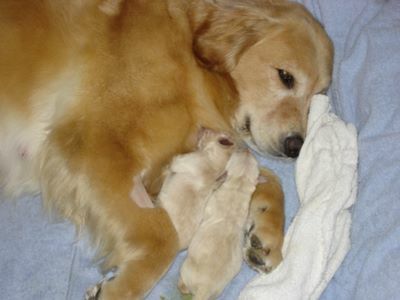 Mama Allie is so tired and the precious little ones are hungrey!!! 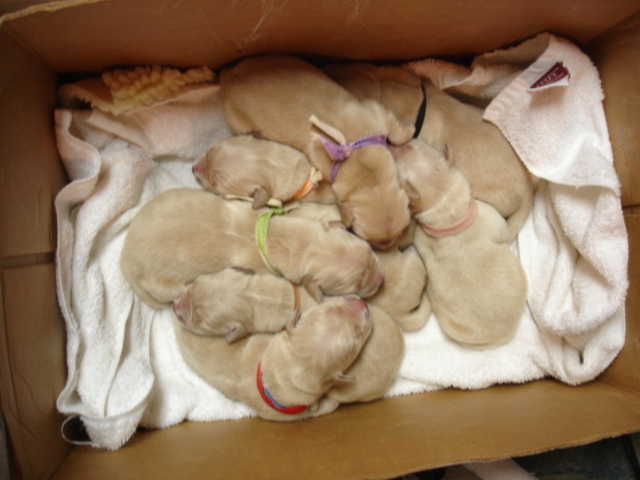 Two days old…a box full of babies….. Everyone is doing great!!! 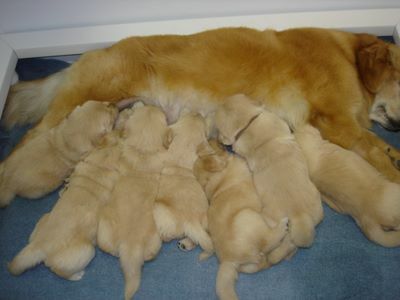 November 12, Happy Birthday Mama Allie!!!!! 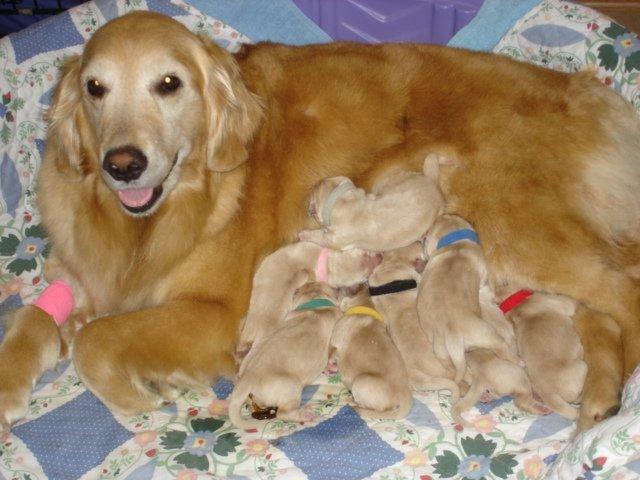 Allie with 3 week old babies…They hardly fit anymore! 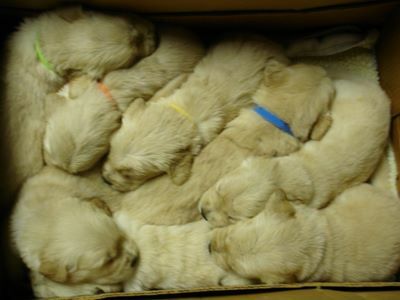 This box was way too big just one week ago…now they hardly fit. 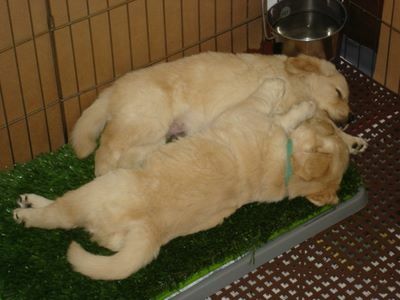 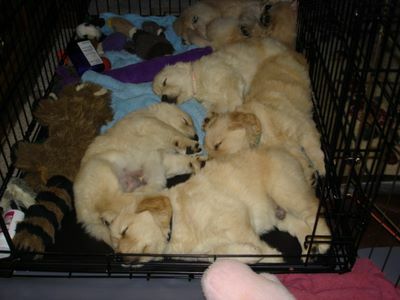 They love to snuggle…. 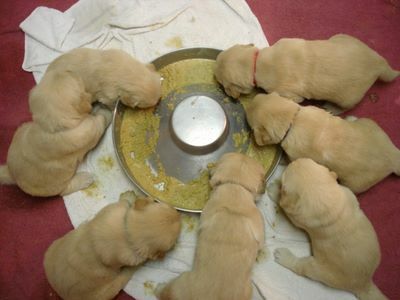 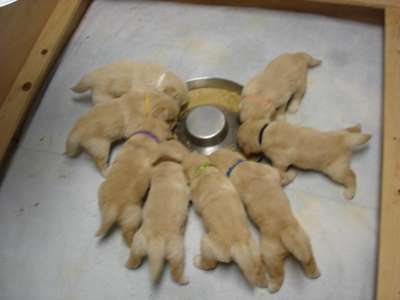 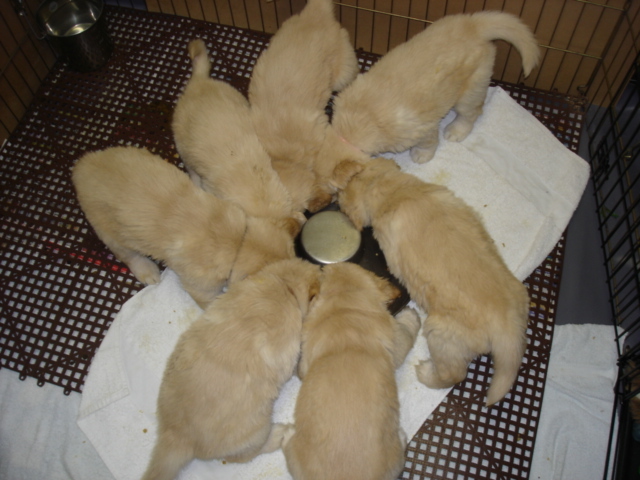 Thanksgiving Day…their first real meal…what a mess they make. 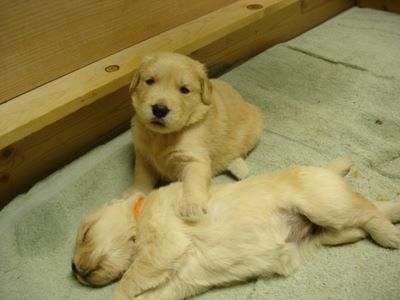 This is my sister…she’s sleeping!!! 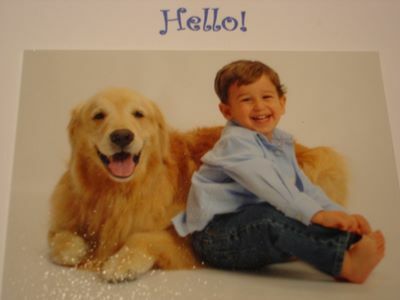 The grandkids come to visit…Ava and Julian. 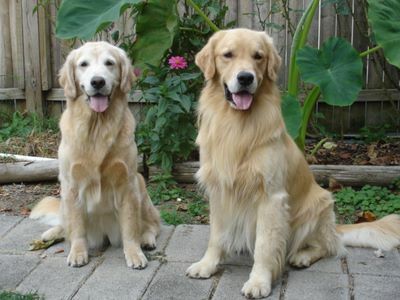 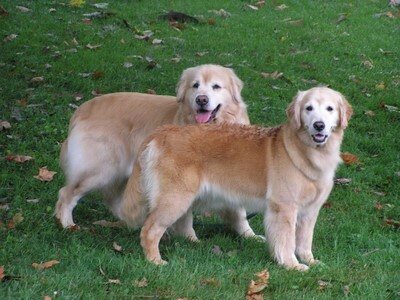 both breedings took and we can hardly wait.